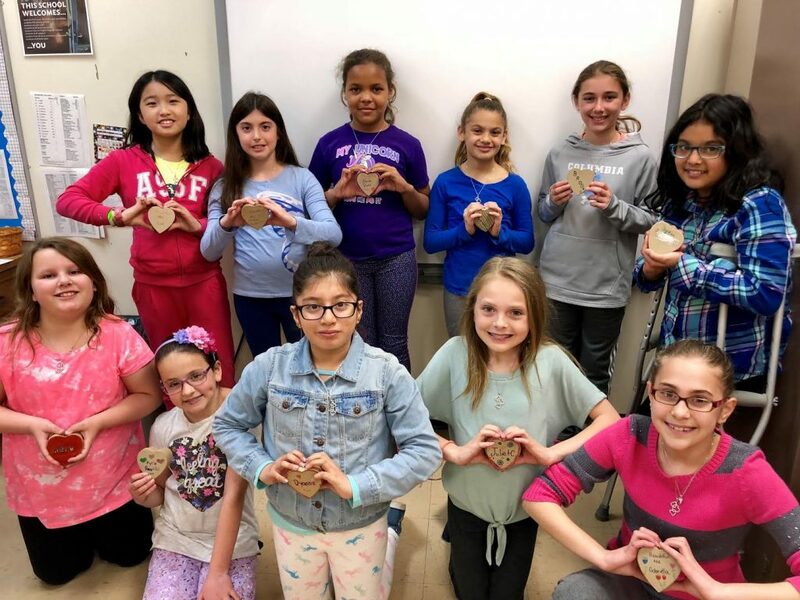 Centre Avenue School fifth-graders participated in the Beautiful Me project, developed by the Hance Family Foundation, under the direction of school social worker Ms. Amy Weissman. The students had an opportunity to honor the lives of three beautiful sisters, Allyson, Emma and Katie Hance, by participating in this self-esteem program that teaches students to understand who they are, to appreciate their own skills and understand that there is satisfaction in helping others. The students discussed alternate views of beauty and distorted views of beauty from the media and learned how to respect themselves and develop healthy relationships. They also engaged in activities that focused on self-esteem, values, problem-solving and positive motivation. Photo Caption: Centre Avenue School fifth-graders recently participated in the Hance Family Foundation’s Beautiful Me program.